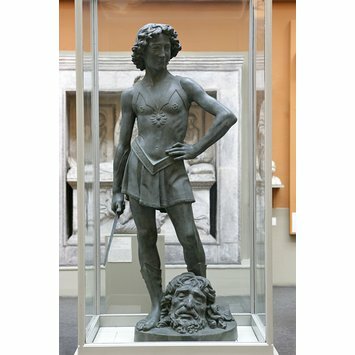 Plaster cast, painted plaster, of David with the head of Goliath, after the bronze original with traces of gilding in the Museo Nazionale (Bargello), Florence, by Andrea del Verrocchio, in about 1475. Probably cast in Berlin, about 1899. 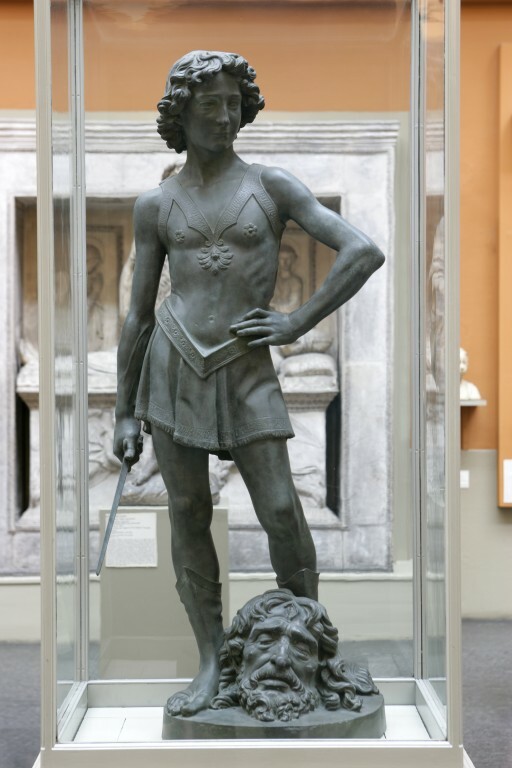 The biblical figure of David was used as a symbol of freedom by the Florentine Republic. Verrocchio made his David as a challenge to a statue of the same subject by Donatello, a cast of which is displayed nearby. With its finely detailed clothing and the startlingly naturalistic head of Goliath, Verrocchio's figure introduced a new realism.